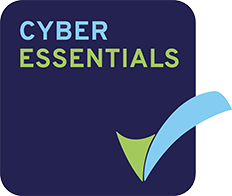 NetVu has been awarded the Cyber Essentials certificate for meeting the cyber security standards of the new Government backer cyber protection scheme. The Cheshire headquartered surveillance industry leader was independently assessed by Digital XRAID Ltd, a member of the not-for-profit CREST accreditation and trade association. By achieving Cyber Essentials certification, NetVu technology can now be specified in bids for central government contracts which involve handling sensitive and personal information or the provision of certain technical products and services.